Published - Jamos and Benita's 2life online feature - Sacramento Wedding Photographers | Teresa K photography Facebook Twitter Instagram Pinterest Client's Area Search this site. 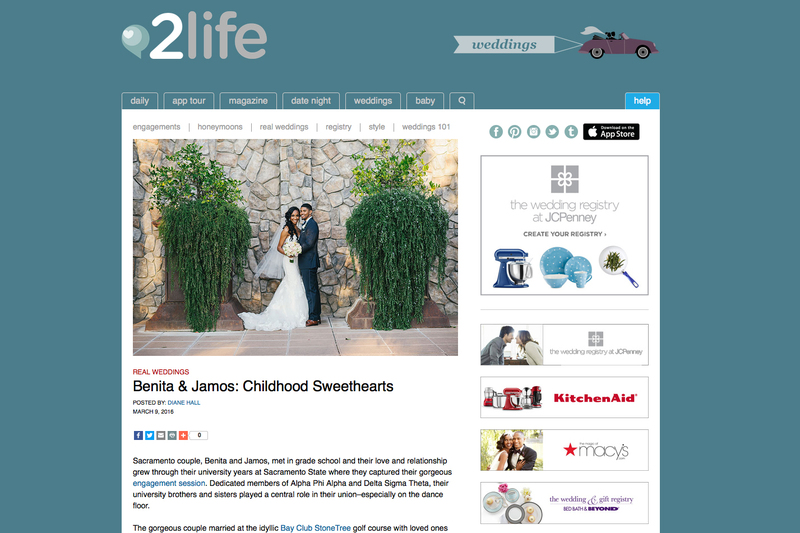 When Diane contacted me to feature Jamos and Benita’s wedding on the 2life Weddings web site, digital magazine, and app, I was thrilled. And of course I jumped at the chance to show off these two lovelies and all the awesomeness that was their wedding day. Check out the feature and relive their day in the link below! 2life is designed and developed with love in Toronto, Canada by 2 for Life Media, a life-stage marketing and media company specializing in relationships, couple lifestyle and life stages, and weddings. It is the culmination of the team’s many years of combined experience in magazine publishing, integrated marketing, innovation, IT, development, and creative solutions.